Not most of us can really afford to buy gifts to give to our loves ones during the Yuletide Season, and we cannot really blame them because it is really hard to earn money nowadays. 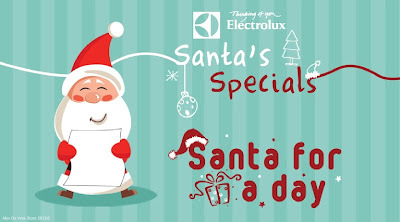 But with Electrolux Philippines' good-heart, you can now give to your love ones that most special gift that they deserve this Christmas by becoming Santa for a Day! This Christmas season, Electrolux brings back the most anticipated and heart warming campaign that is gonna be a key to those who can't afford to buy their love ones some material items this Holiday. 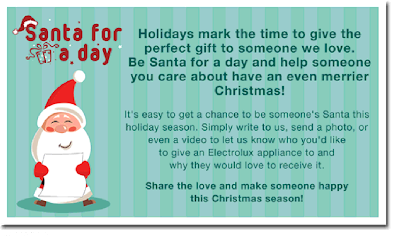 Santa for a Day campaign is a give the gift campaign giving comfort and convenience at home to someone dear to you in the form of Electrolux Appliances. And becoming Electrolux Philippines' Santa Claus for Day is so easy! You just have to visit www.electroluxman.com/santaforaday. Create your most-heartwarming story and send it to Electrolux Philippines. 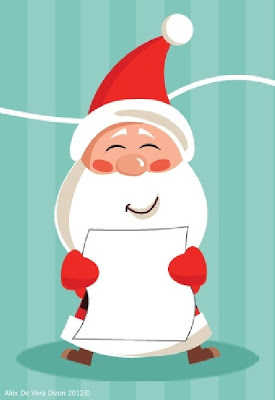 Make sure that you letter is no less than 500 words and that answers the question “What Electrolux appliance would you like to gift someone special this Christmas and why?” You can accompany your letter with a creative video or a photo to make it more personal and touching. The complete list of appliances you can choose from is found on the contest website, such as washing machines, refrigerators, cooking appliances, air conditioners and small appliances. These appliances are all included and available from the wide range of Electrolux home appliances. All qualified entries will be judged and only the 3 best stories will be picked. The selection of winners will be based from the scores that it'll gather from the judges and the beneficiaries of the 3 best entries will receive an Electrolux appliance in accordance to the wish that the letter sender asked for. Out of the three stories, the one that has the most original and touching and fitting to the whole story there will be given a chance to be a Santa for a Day as the Electrolux team will accompany him or her personally to deliver the prize to the nominated recipient. Deadline of submission of entries is on December 10. so, what are you waiting for? Spread the Yuletide cheers and make someone happy this Christmas! 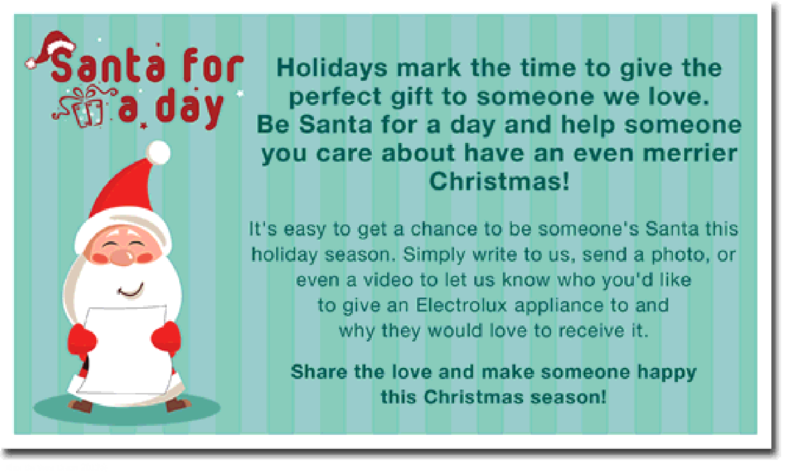 Nominate them in Electrolux’s Santa for a Day Contest, and who knows, you're love ones might be the one who'll receive the biggest from Santa this year!! To know the full mechanics of the Electrolux Santa for a Day Contest, check out Electrolux’s Facebook Page at www.facebook.com/thelittlewhitebook or their website www.electrolux.com.ph or follow them at twitter.com/ElectroluxPH.